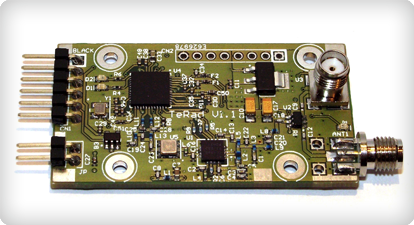 The AMORES telemetry radio is a professional, high speed ISM band telemetry radio, intended for UAV applications and compliant with the European standards. The AMORES Launcher is a straightforward, robust, long life, maintenance-free and cost-efficient solution for launching large, rigid wing aircraft safely from unprepared terrain. 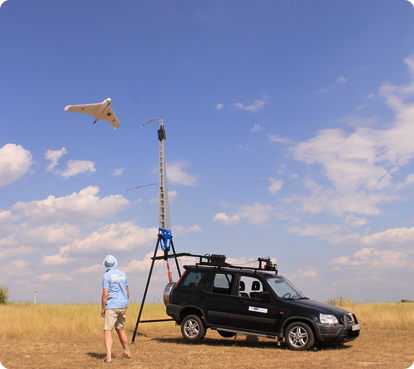 In case of a light SUV vehicle, the Launcher can launch aerial vehicles with take-off weights between 3-10 kg, with initial velocities ranging between 10-20 m/s, depending on their masses. Installation/dismounting time: about 10 minutes.